Torc Mountain in Killarney National Park is almost impossible to ignore. It towers over one of Ireland’s most beautiful reserves - a craggy backdrop to the lakes and forests. Torc Waterfall, cascading down the base of the mountain, is possibly better-known than the mountain itself. But if you venture beyond the waterfall, you're in for a treat. Hiking the Torc Mountain trail is fun and refreshing and it only takes a couple of hours. 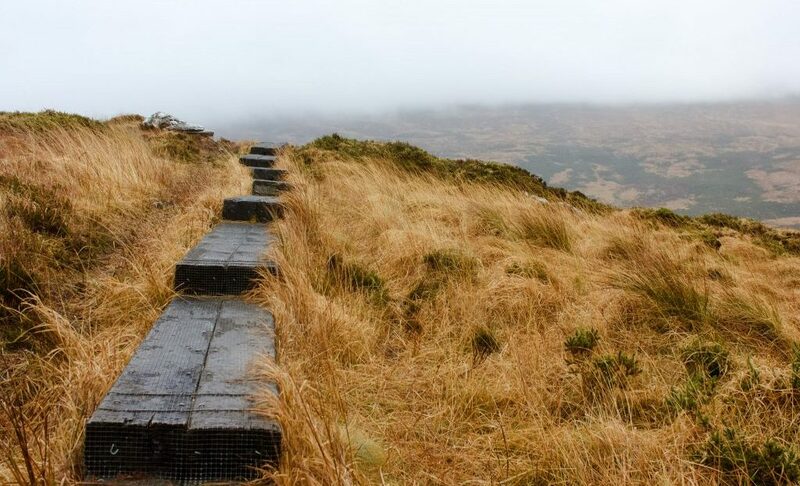 To access the trail that’ll take you to the summit of Torc Mountain, begin at the upper Torc Mountain car park. For some reason, the mountain trail isn’t signposted, so lots of people end up on the looped waterfall track. To reach it, stay on the narrow country road that continues from the car park. 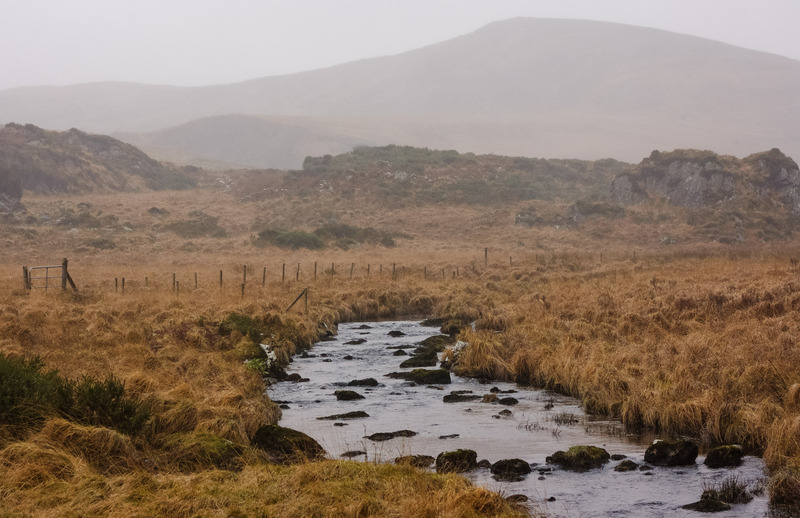 This is the beginning of what’s known as the Old Kenmare Road – a 16km trail through a gorgeous section of County Kerry. 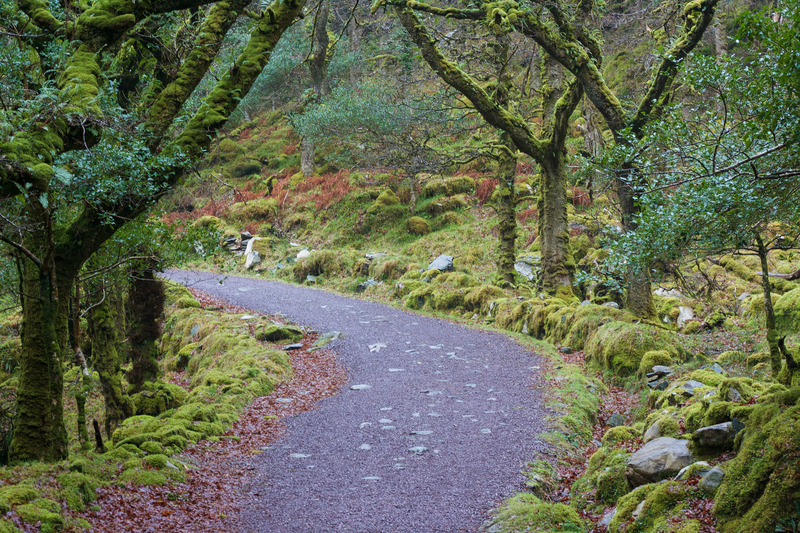 The trail winds through startlingly green woodland and passes a bubbling stream, before crossing the marshy uplands of Killarney National Park. Follow the road until you see the starting point for the Torc Mountain trail on your right. 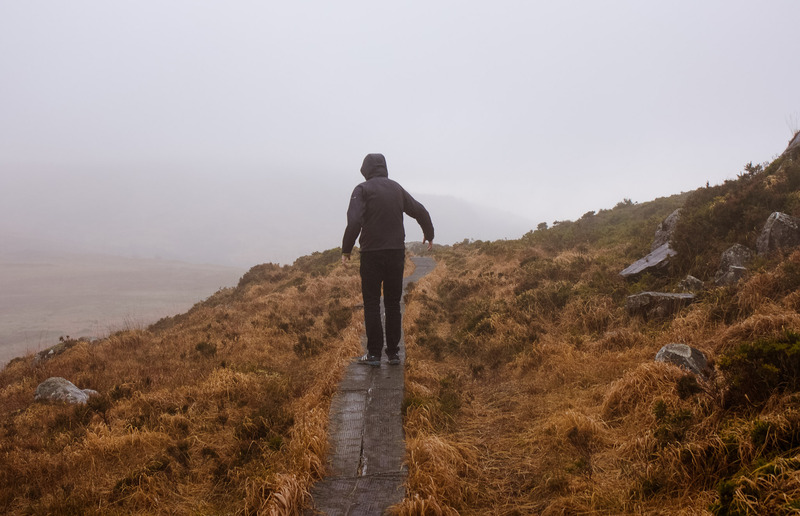 Although the summit is 535m, Torc Mountain is one of the easiest mountains to climb in Kerry. If you drive to the upper car park, then the actual climb is less than 350m. But even better, there’s a clear trail in place. 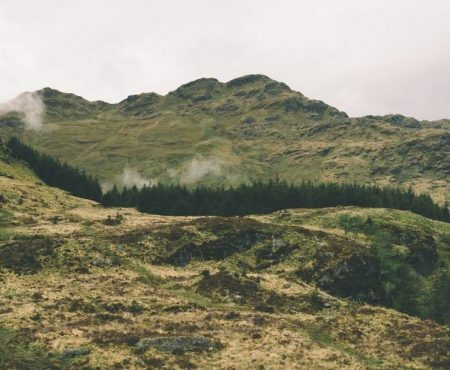 The trail makes Torc Mountain more accessible to hikers, and as long as people don’t go trampling off it, it also helps to protect the surrounding ecosystem. The steep and rocky stretches of the trail will get your heart pumping (unless you’re super-fit). But it zig zags, so there are relatively flat bits too. These sections involve walking along wooden sleepers, which are covered in chicken wire. 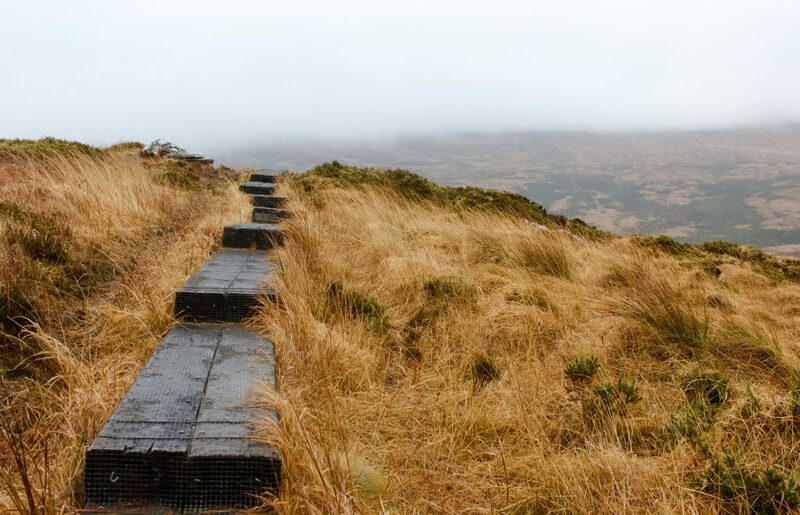 The combination of rocky path and sleepers will take you all the way up the summit. So unlike other mountains in Kerry, you won’t need any navigation skills. On a clear day, the views from the Torc Mountain are incredible. The Magillicuddy Reeks, Mount Mangerton, the Paps, and the lakes of Killarney are all visible. There’s an elevated viewing point along the way and when it’s not too windy, you can take it all in from the summit. But when the weather’s not so pleasant, you’re unlikely to get much of a view. Mist sometimes covers everything in a thick, grey veil and all you’ll be able to make out is the path in front of you. But even that doesn’t take away from the beauty of Torc. The rugged, marshy mountain slopes look even more dramatic against the sky. The obvious downside of the bad weather is that you’ll probably get soaked. 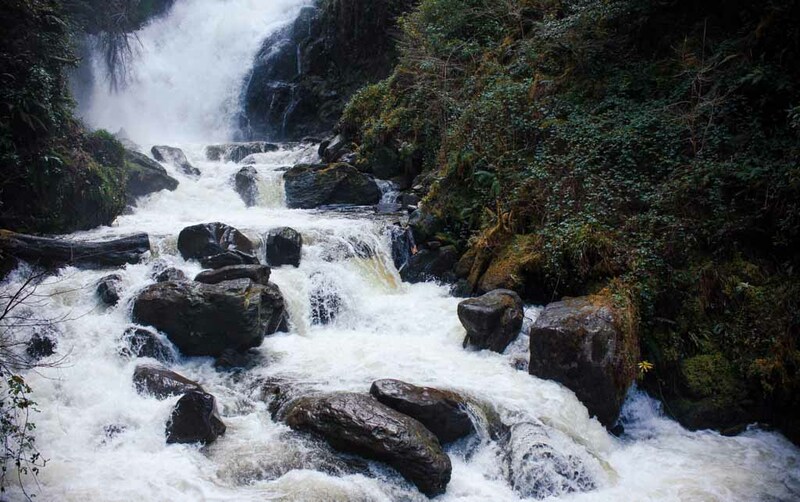 One of Killarney’s most popular tourist attractions, Torc Waterfall is about 20 metres high and looks even more dramatic after heavy rain. To get there, follow the signposts from the starting point of the Torc Mountain route. Alternatively, the main carpark for the waterfall is on the N71 Killarney-Kenmare road. Torc Waterfall tends to get crowded during the summer, but if you visit during the off-season, you’ll experience it at its best. 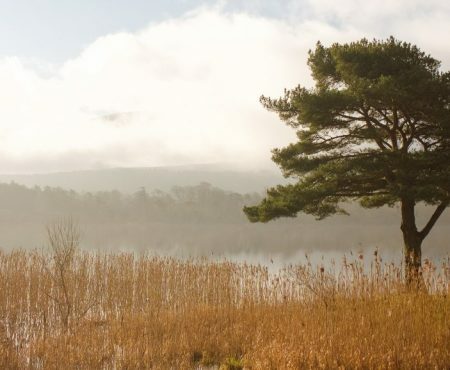 Torc is just one of the many natural attractions in Killarney National Park. If you have more time, it’s worth spending a day exploring some of the park’s walking trails. Some trails wind through the ancient forests of the park, others wrap around the lakes, and a few lead to heritage sites. The choice is yours. 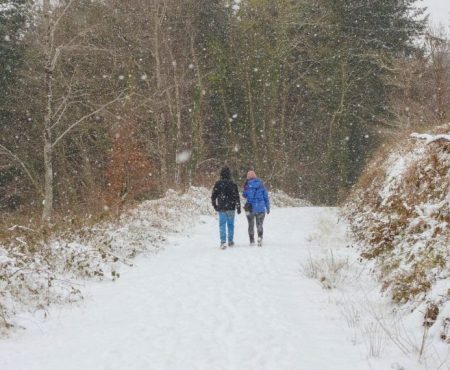 To get to Torc Mountain from Killarney, drive for approx 9kms on the N71. Turn left onto the narrow road signposted ‘Old Kenmare Road’ and follow it up to the second carpark. The trail is steep, rocky, and uneven in places. Wearing hiking boots or trail shoes is wise. The route is exposed, so be prepared for changeable weather. Most people can finish the hike in 2.5 hours.